After the New Orleans Saints used their 1st Round pick (#13 overall) on University of Stanford All-American offensive tackle/guard Andrus Peat in the 2015 NFL Draft, they did so with the idea that the 6-foot-7, 315-pound Mesa, Arizona native would become an “anchor” on their offensive line for many years to come. But after four NFL seasons that could be accurately described as a eclectic mix of both good and bad performances with a few severe injuries and a first-time ever Pro Bowl recognition last season, it’s become debatable for some as to whether or not the Black and Gold still feels the same way about Peat now as they had back then. The 25-year old Peat is now entering into what will be the final year of his original rookie contract. If he plays well enough in the 2019 season while earning a nod to play in the Pro Bowl again, he could end up becoming too expensive for New Orleans to re-sign when he becomes an unrestricted free agent in 2020; the Saints will have other potentially-pricey contracts looming out on the horizon with offensive superstars Michael Thomas and Alvin Kamara. Last off-season, Saints management opted to pick up the 5th-year option on Peat at $9.625 million, which some fans felt far exceeded his value up to that point. It would be fair to say that when he wasn’t hurt, Peat had a good season by his standards last season as part of the team’s top-rated O-Line. Many observers felt that would make Peat a prime candidate during this off-season to get a new contract extension offer from Saints brass. He and the team were unable to work out a new deal, and there’s been no official word or confirmation either way as to whether he even received one. That indisputable fact has prompted further speculation among some observers and analysts that the Saints are considering Peat as a player they could use to potentially acquire an additional pick in the upcoming 2019 NFL Draft. As most Who Dats are well aware, New Orleans only has a grand total of six picks in this year’s draft, due to the many different trades they made last season to acquire players defensive end Marcus Davenport, back-up QB Teddy Bridgewater, and cornerback Eli Apple. As a result of those trades, the Saints don’t have picks in Rounds 1, 3, and 4. Because of that, it’s presumed that they’d like to gain back at least one or more of those picks to continue building the team around its young core that’s currently in place for the future. However, if they were to give some serious consideration about trading Peat for a team that needs a versatile O-Lineman capable of playing multiple positions, it’s more than reasonable to assume that they’d get a pick in return that would get them a new young player somewhere within the draft’s first four rounds. The trick to that, however, might be finding a team that feels the way about a player that the good folks over at Pro Football Focus say hasn’t exactly made anyone think of him as an “anchor” (at least not up to this point). Peat played left tackle at Stanford, where he won the Morris Trophy (given to the PAC-12 Conference’s top lineman) and was chosen as a consensus All-American. 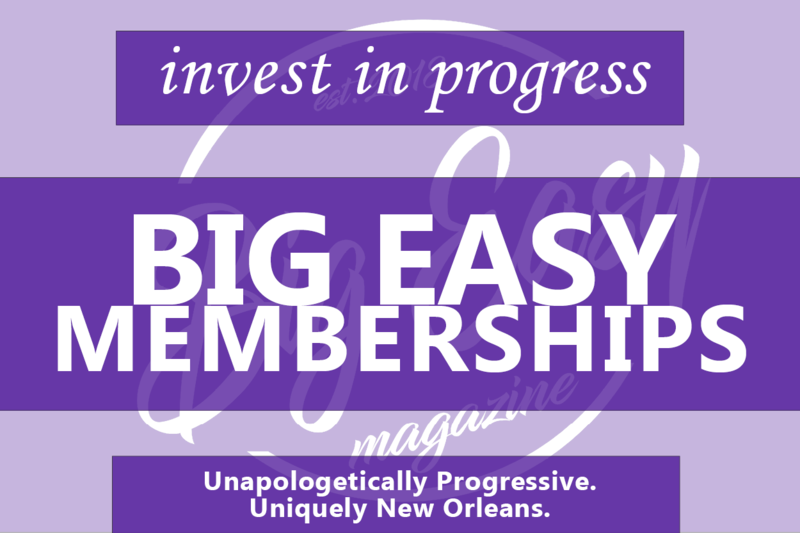 When the Saints chose him, the original plan was to have him play at right tackle and become the eventual successor to then-right tackle Zach Strief (now retired and the Saints’ radio play-by-play announcer). Unfortunately, it quickly became evident that Peat wasn’t cut out to play on the right side, and when starting offensive left tackle Terron Armstead was hurt that year, the Saints quickly inserted the rookie Peat. But then it became obvious that Peat didn’t have the quickness or foot-speed required to be able to keep up with some of the League’s very best edge pass rushers/defensive ends on that side either, which left them with one other option for the player that they had just spent their top draft pick on for Year 2: moving him over to the guard position. That left guard position Peat has manned since 2016 has now evolved into and become his permanent role, although the Saints haven’t hesitated to use him at left tackle as Armstead’s injury issues continued for pretty much every season since then. 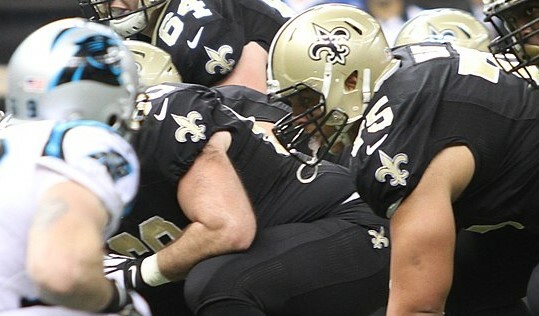 Peat has had his own injury issues throughout the years, including a broken left leg that he suffered in a Wild Card Playoff victory over the Carolina Panthers a year and a half ago; and then last season very notably played the last two games with a broken hand after suffering the injury during the Saints’ final regular season game (and against the Panthers once again), according to a report from ESPN’s Adam Schefter. Peat ended up having near-secretive surgery on his hand during the team’s first-round playoff bye and played “through serious pain,” according to reports. He was then called for four penalties during the Saints’ win over Philadelphia in the Divisional Playoffs (two false starts and two holding calls), both types of infractions which could have cost the team before they ended up pulling out the win at the end of the game. Unfortunately for Peat, you’re only as good as your last game — and whether one views it as fair or unfair, the lingering perception of Peat from some in both the fanbase and within the organization, is that the team can (and should) do better and move on from Peat, by finding someone else that can take over that role. The Saints were “sweet” on Peat once upon a time, but it would appear that those feelings now could be turning a bit sour. However, where the Black and Gold will ultimately decide to go with Peat from here is anyone’s guess. Finding a willing trade partner could be an issue. While Peat’s overall play at guard has far exceeded his previous performances at tackle, no one is confusing him with any of the “elite-caliber” players at the guard position. New Orleans definitely could find one in this year’s Draft for less than the nearly $10 million a year they’re paying Peat. The Saints paid veteran backup guard Jermon Bushrod (whom they didn’t re-sign this off-season) far less money than that last year and they have rookie Will Clapp waiting in the wings to take over at a moment’s notice should that left guard spot need to be filled. 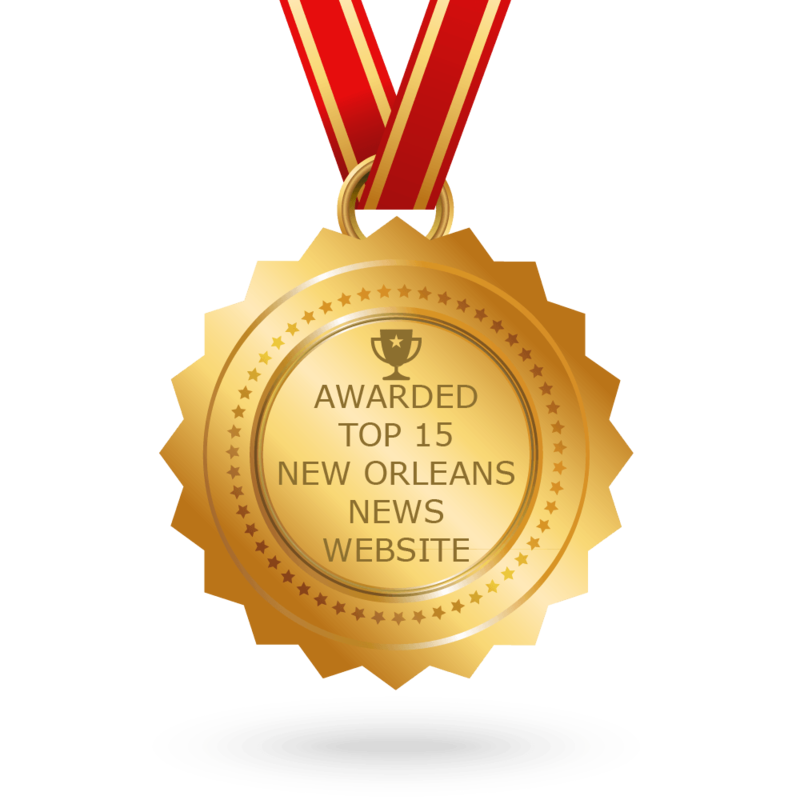 From New Orleans’ perspective, the best strategy might be to wait until Day 2 or Day 3 of the 2019 Draft (Friday and Saturday, April 26th and 27th), and see what NFL teams could use another player who can play both tackle and guard, and see what kind of offer(s) they get in return. You’d have to imagine that at the worst, the Saints could get back a 3rd or 4th Round pick for a former All-American O-Lineman from the PAC-12 Conference that can fill multiple roles. Peat has certainly had an up-and-down career since coming into the League and has earned just as much praise for his play at times, as he has drawn criticism. There always “flashes” of greatness at times, even. For Peat, the problems have been more about consistency; and the fact that for as many times as he’s looked every penny’s worth of $10 million per season, has looked like he was worth 10 whole cents. Even if the Black and Gold only manage to get back a third or fourth round pick for Peat, this year’s offensive line class, while it isn’t nearly as deep or talented as it has been in previous Drafts, still has many players that have the versatility to play both guard and tackle spots. It’s that capability to man multiple offensive line positions (mainly always due to injuries), that Saints team brass always seem to place such a high priority on. The one big hang up in all of this for the Black and Gold is that they might end up having to take on more “dead money” by eating some (if not all) of the $9.625 million that’s due for Peat to earn in the upcoming season, since no team in their right mind is likely to be willing to pay Peat that much given his career accomplishments up to this point. But for a team like the Raiders or Patriots that, for example, have an abundance of extra middle round picks this year, Peat should be worth at least a 4th-Round pick in return. Nevertheless, this clearly isn’t what the Saints organization had in mind on April 30th, 2015 when NFL Commissioner Roger Goodell (the man who all Who Dats know and despise so fondly) walked up to the podium in Chicago and stunned most of the Pro Football world by announcing the Saints had selected the University of Standford All-American left tackle Andrus Peat with the 13th overall pick of Round 1.
.@AndrusPeat joined the #StanfordNFL family at the 2015 #NFLDraft. At that time, team brass dismissed the naysayers who believed that the Saints had made a huge mistake by passing on potential superstar and University of Louisville WR DeVante Parker (who was taken with the next pick by the Miami Dolphins) by choosing Peat instead. And while it’s certainly easy to assume that Parker could have flourished in the Saints offense with Drew Brees and become an NFL superstar instead of the slightly-average player (ironically just like Peat) that he has been in South Florida, the Saints didn’t look back after choosing Peat that night. Whether they actually regret having gone through with that pick now or not, it would seem likely that Peat will still be the starting left guard for the Saints on the first weekend of September later this year. But of course, as we all know: sometimes, things don’t always go according to the original plan. 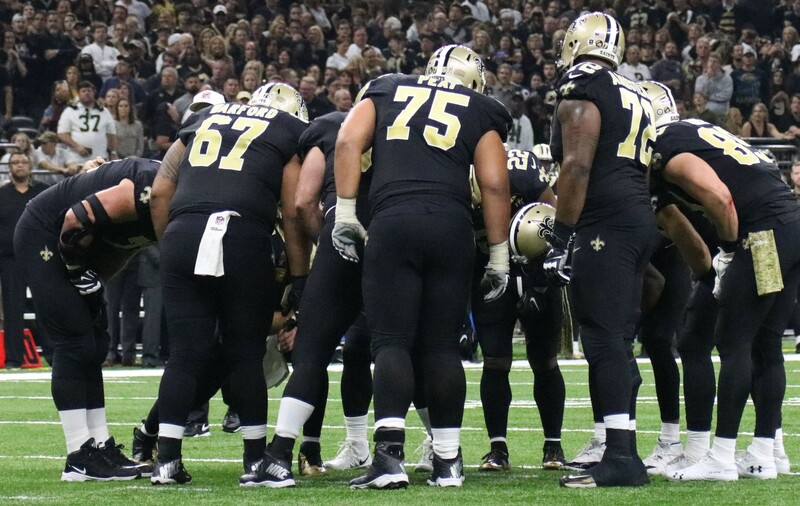 When the Saints took the young man who was once the top-rated #1 overall high school football recruit in the nation, and who had received an incredible 38 scholarship offers from all of college football’s biggest programs, the plan was for Peat to be an “anchor” for their O-Line for many, many years to come. But given the lack of progress on any new potential contract agreement this off-season, it’s hard not to get the sense that the Saints might not be sweet on Peat any more — and perhaps in two weeks, we’ll find out if the relationship might be turning sour.